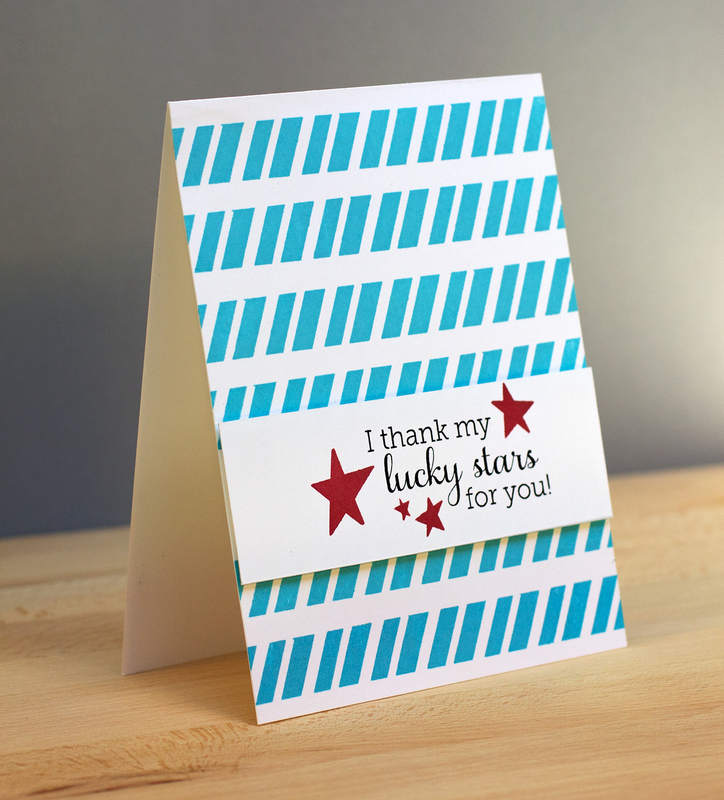 Hi Jean here to share two cards for this week's collaboration between A Blog Named Hero and Neat + Tangled. There were absolutely dozens of card ideas floating around in my head, as the stamps from these two companies work so well together. 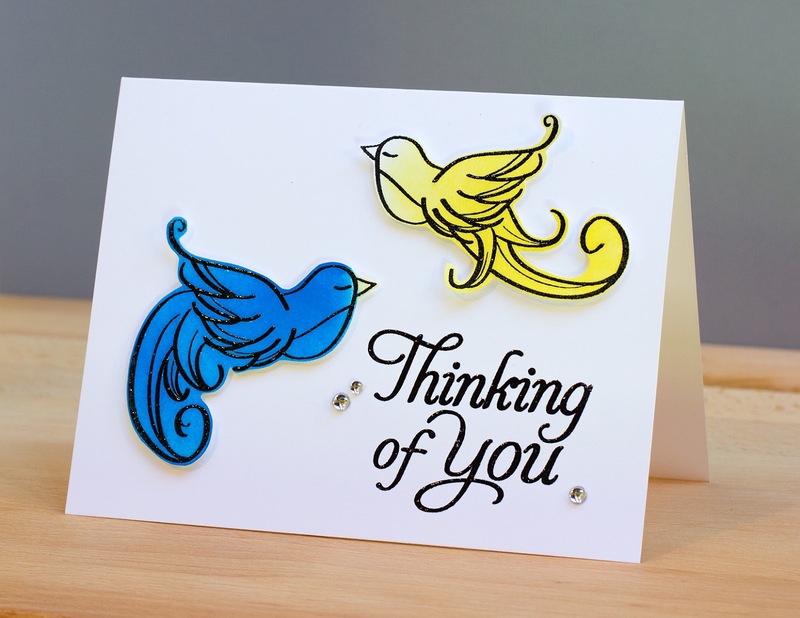 For my first card, I stamped and heat embossed the birds from My Heart Sings and colored them with distress inks - Salty Ocean and Squeezed Lemonade. I stamped the sentiment from Fancy Basics and added a few gemstones. I took a decidedly more casual approach for my second card. That's the great thing about these companies - they're stylistically versatile! I repeatedly stamped one of the On the Border stamps with Archival Ink in Aquamarine. I created a panel onto which I stamped the stars from Sparkle and Shine along with a sentiment from Year Round Sentiments. great combo of stamps, great cards! Love the bright colors on both cards. I thanks my lucky stars for this blog! 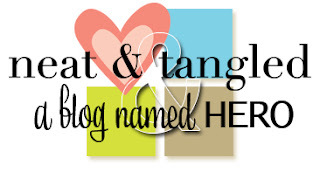 I have to say that I agree with Vicki (up above) that I thank my lucky stars for this blog!!! These cards are fantastic! I love them both! How sweet these cards are. Two fantastic cards. Those birds really sing in the colors you chose! Thanks for sharing!